Great to see our researchers attending the 256th American Chemical Society (ACS) National Meeting (August 19-23) in Boston, USA to present their research at a special Symposium on “Characterization, detection and applications of excitons in chemistry”. International conferences are important opportunities to create and nuture global connections. Talks were given by Centre Investigators, Prof Ken Ghiggino, Prof Tim Schmidt and postgraduate student Heyou Zhang. Posters were presented by postdoctoral fellow Dr Siobhan Bradley and postgraduate students Bolong Zhang and Can Gao. Members of the group also took the opportunity to visit and discuss Centre research projects with Associate Investigator Prof Greg Scholes at Princeton University. 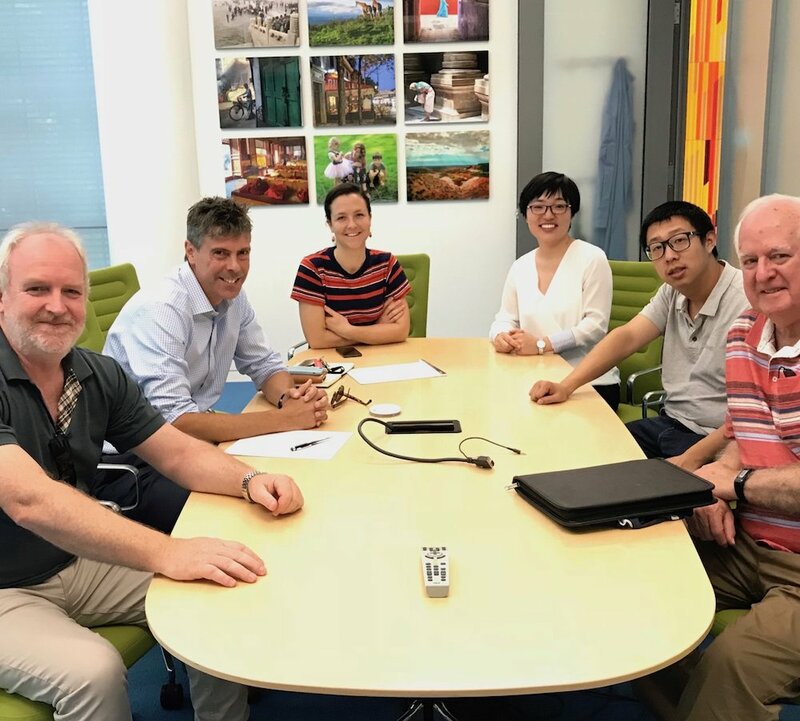 Left to Right: Assoc Prof Trevor Smith, Prof Greg Scholes, Dr Siobhan Bradley, Can Gao, Bolong Zhang, Prof Ken Ghiggino at the Frick Chemistry Laboratories, Princeton University. 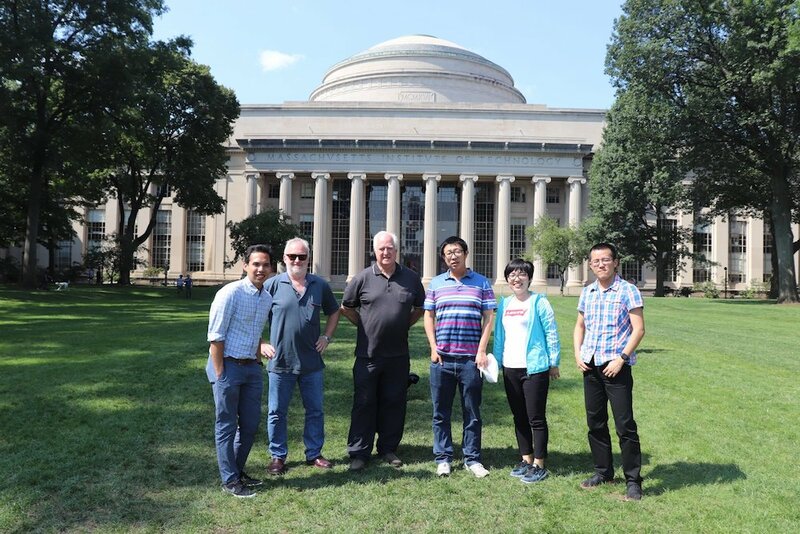 Left to Right: Dr James Banal (MIT), Assoc Prof Trevor Smith, Prof Ken Ghiggino, Bolong Zhang, Can Gao and Heyou Zhang. James was supervised in his PhD by Prof Ken Ghiggino and Dr Wallace Wong at the University of Melbourne.